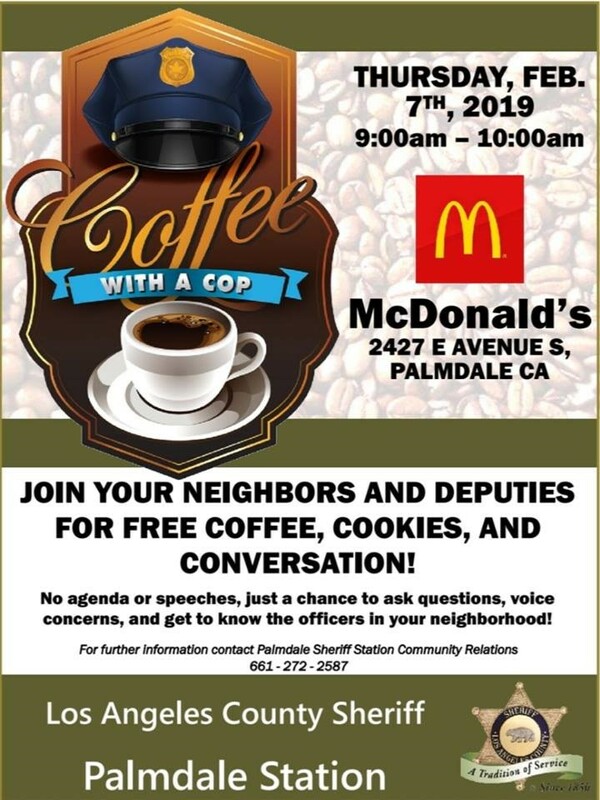 PALMDALE – You are invited to join officers from the Palmdale Sheriff’s Station for free coffee, cookies, and conversation this Thursday as part of the “Coffee with a Cop” program. It starts at 9 a.m. Thursday, Feb. 7, at the McDonald’s located at 2427 East Avenue S in Palmdale. Questions regarding law enforcement, employment with the Sheriff’s Department, current popular social topics, and new law changes can all be answered or discussed at this event. “Coffee with a Cop” is a national initiative supported by US Department of Justice, Office of Community Oriented Policing Services. 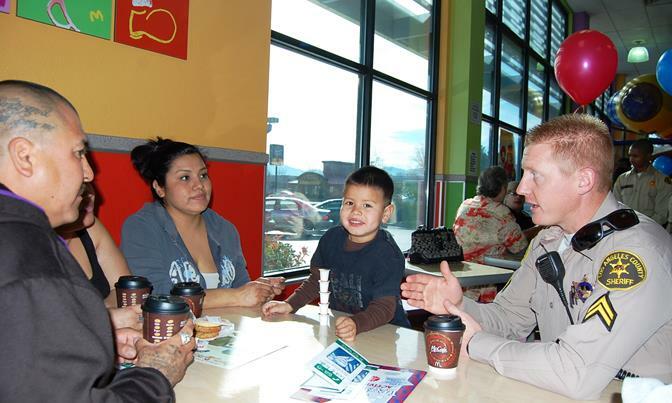 The program aims to advance the practice of community policing through improving relationships between police officers and community members, one cup of coffee at a time. For more information on this event, contact Public Information Deputy Ronald Sneed at the Palmdale Sheriff’s Station at 661-272-2587.